The authors of a new study have said parents and doctors should routinely ask children with food allergies about bullying. NEARLY A THIRD of children diagnosed with food allergies who participated in a recent study are bullied, according to researchers at the Icahn School of Medicine at Mount Sinai in New York. Nearly half of parents surveyed were not aware of the bullying although both the bullied children and their parents reported experiencing higher stress levels and lower quality of life. The study, titled, ‘Child and Parental Reports of Bullying in a Consecutive Sample of Children with Food Allergy,’ appears in the online issue of Pediatrics today. The study was led by Eyal Shemesh, MD, Associate Professor of Pediatrics and Psychiatry at the Icahn School of Medicine at Mount Sinai. Dr. Shemesh and his team surveyed 251 pairs of parents and children. The patient and parent pairs were consecutively recruited during allergy clinic visits to independently answer questionnaires. Bullying due to food allergy or for any cause, quality of life, and distress in both the child and parent were evaluated using the validated questionnaires. The work for the study was supported by the EMPOWER (Enhancing, Managing, and Promoting Well-being and Resiliency) programme, a program funded by a generous donation from the Jaffe Family Foundation, an organisation aimed at enhancing the quality of life of persons with food allergy. 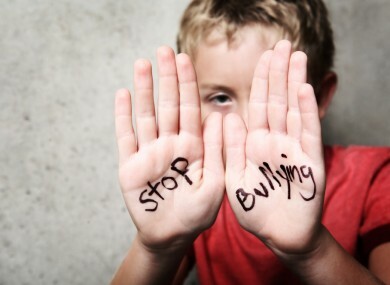 Email “One third of children with food allergies experience bullying”. Feedback on “One third of children with food allergies experience bullying”.